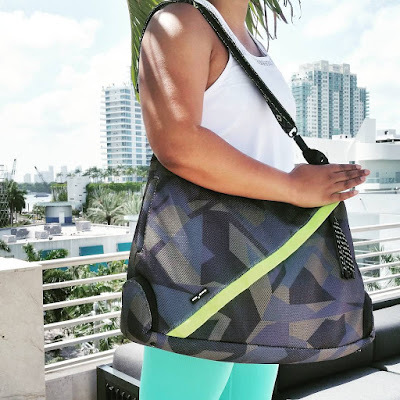 Your yoga mat smells like feet and sweaty funkiness! P.U.! What do you do when your yoga mat stinks? You clean it, of course! You weren't going to go out and just buy a brand new one every month, were you? How do you clean it, you ask? Well, I'm here today to tell you how, so pay attention! 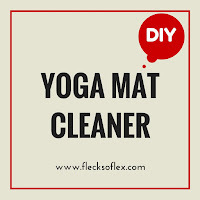 This is a very simple cleaner that will help you get that funk out of your mat, make it smell fresh and actually refreshing, and doesn't contain harmful ingredients. The following essential oils: Tea tree, eucalyptus, and lavender. 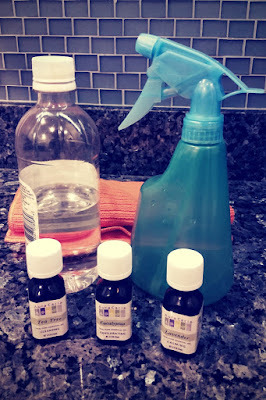 Combine the water and vinegar in your spray bottle. Give it a little shake. Add 5 drops of each of the essential oils to your bottle. If you want it to have a light, lingering lavender fragrance once it's dry, and 3 extra drops of the lavender. If you'd prefer that your mat smell more like eucalyptus, add just 1 or 2 extra drops. (I stuck to 5 drops of each). Give the bottle another shake. Place your mat face down on a clean surface. (I used a clean kitchen floor.) 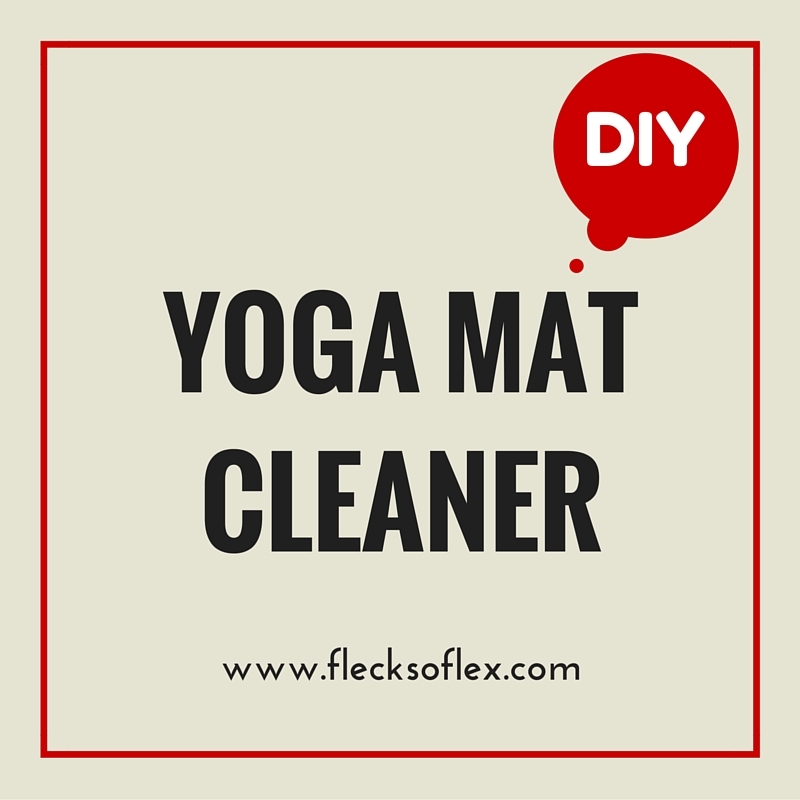 Spray down your yoga mat with the solution. Apply the solution liberally, focusing on a third of the mat at a time. If your mat is extra funky, let it sit for a couple of minutes. Otherwise, start wiping down your mat. I noticed that I had a few marks on my mat, so I gave them a bit of elbow grease and got them out with my solution. Allow your mat several minutes to dry. Turn your mat face up and repeat. I sprayed down my mat on Sunday evening, and used my mat for yoga both yesterday and today. Monday it smelled clean, but today I got a little bit more eucalyptus smell, which was really refreshing. That's it! I hope you enjoy your no-longer-funky yoga mat! nice! I always use lavender to clean my mat - smells SO good. I absolutely LOVE the smell of lavender! What a great idea- I am so bad about cleaning my fitness mat! I was bad too, until I took a deep breath in and smelled months worth of feet. o_0 I'm definitely going to start cleaning it more regularly now! This is awesome!! 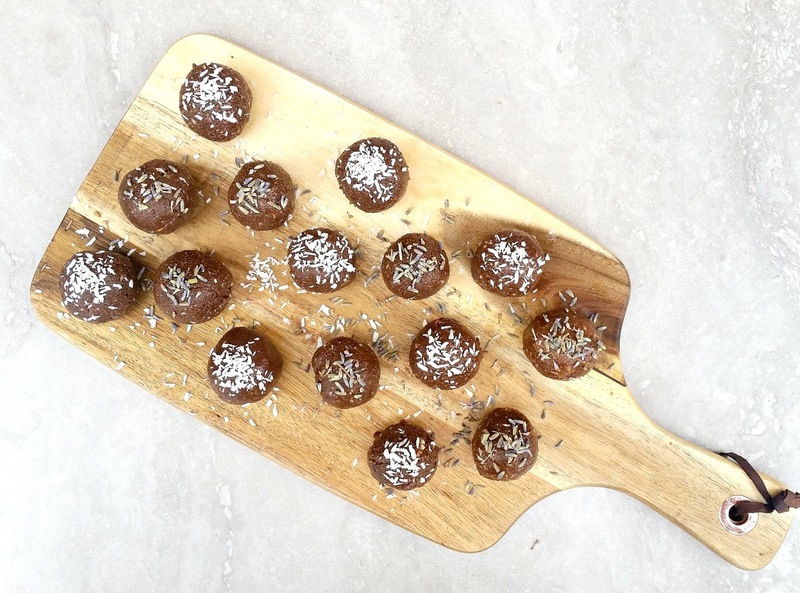 I will definitely be using this recipe! Love lavender. I'm glad you like it! I was really impressed by how well the combo of vinegar and tea tree oil cleaned the mat! I can't be grossed out after what I smelled on mine! The key is to do it more often than not. The tea tree oil and vinegar will help fight off cooties!